CAPE CANAVERAL, Florida -- Data from NASA's Voyager 1 spacecraft indicate that the venerable deep-space explorer has encountered a region in space where the intensity of charged particles from beyond our solar system has markedly increased. Voyager scientists looking at this rapid rise draw closer to an inevitable but historic conclusion – that humanity's first emissary to interstellar space is on the edge of our solar system. 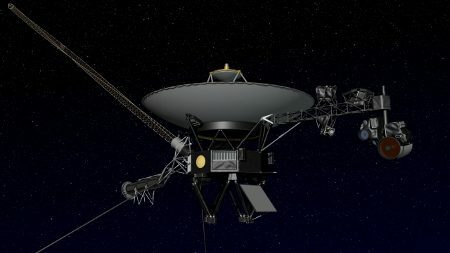 Launched in 1977 aboard Titan IIIE/Centaur rockest from Cape Canaveral Air Force Station in Florida, NASA says that Voyager 1 and 2 are in good health. 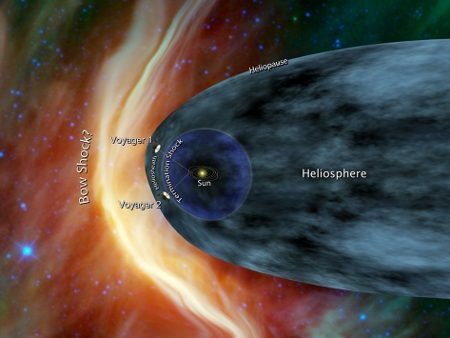 Voyager 2 is more than 9.1 billion miles (14.7 billion kilometers) away from the sun. Both are operating as part of the Voyager Interstellar Mission, an extended mission to explore the solar system outside the neighborhood of the outer planets and beyond. NASA's Voyagers are the two most distant active representatives of humanity and its desire to explore.